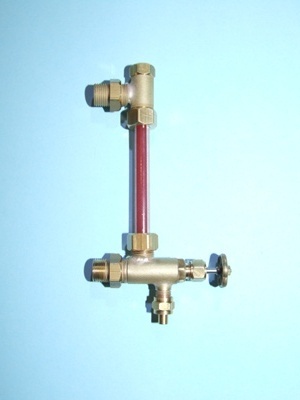 Complete Water Gauge Assembly. Threaded 3/8" x 32 to suit boiler bush and supplied with a nut and ferrule to suit 1/4 x 40 thread 1/8" pipe Outlet. Comes complete with 6" length of 6mm diameter gauge glass and the required seals. These water gauges also come with an adjustable locking nut to ensure alignment.